Blake Lively is currently battling one nasty shark on screen, but back in reality, this Blake would prefer the shallows of her private vacation pool. In the movie, the only thing keeping surfer Nancy from the nearby shore is one massive, pissed off shark. And while my obstacles weren’t with a great white killer, in some ways they came from an even scarier place; within my own brain. I don’t have the same confidence I used to when rocking new swimwear, but then again, I don’t have my twenty year old body anymore either. Who does? 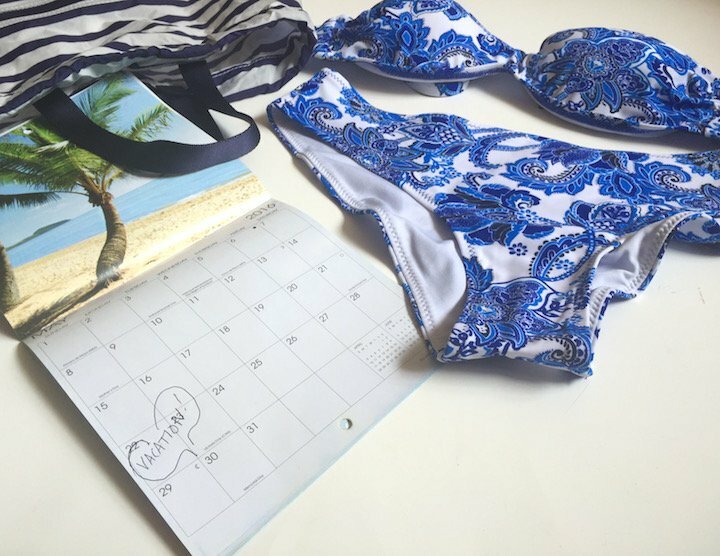 Yet, still when Anabel Arto showed me some of their latest offerings for Summer ’16, I felt inspired to conjure up the spirit of that confident, ab-a-licious twenty something for our upcoming trip to Mexico. Even if I was in reality, lacking both those things. Vibrant prints, especially my favorite paisley rule the collection which is a a mixture of bikinis, tankinis and one pieces. All have a very feminine feel, with low cut bottoms, and padded tops. Probably a little more feminine than I’m typically used to exhibiting with the rest of the world. 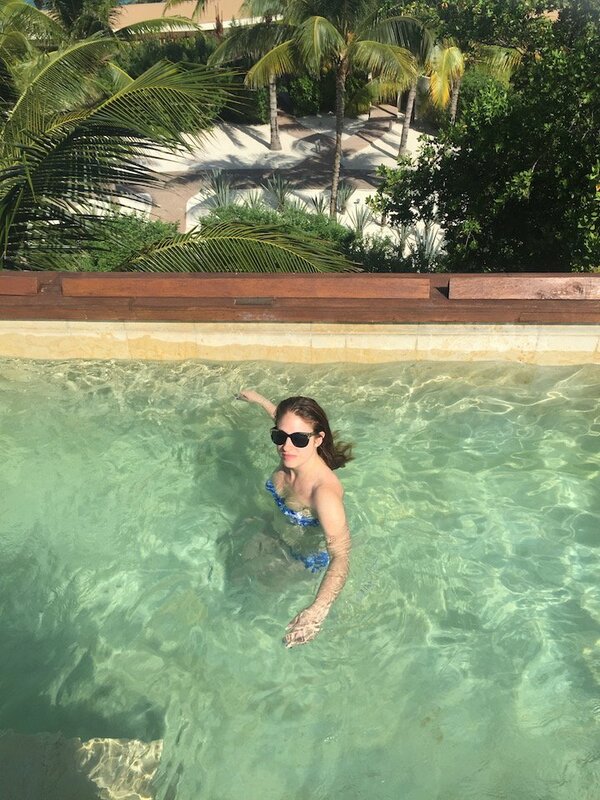 But it’s not every day you get a private pool on a rooftop in Mexico, and sometimes, even if you stay in the shallows, you have to dig deep. 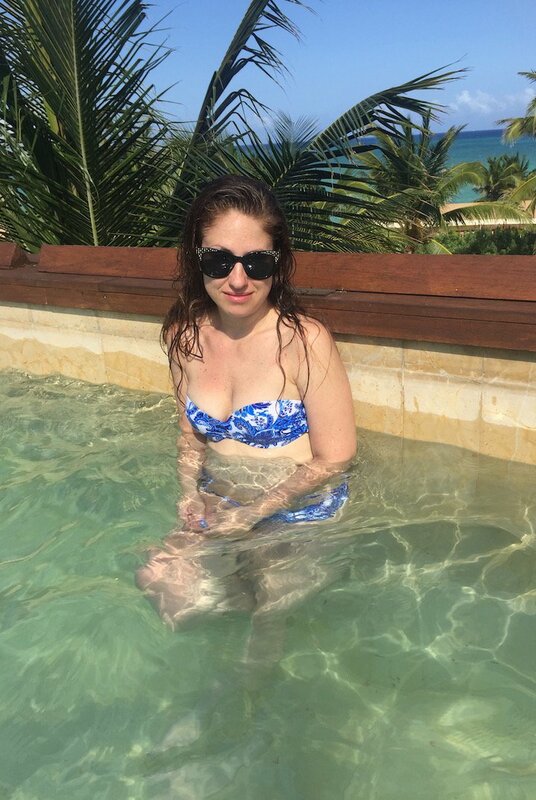 I don’t know if it was the intimacy of knowing you can take a dip with no one to bother, (not that anyone cares what you look like except you ), or the mood of vacation itself, but I shed my less than confident demeanor, and instead opted to suit up. I may not look like Blake Lively or be married to Ryan Reynolds but while she scores screen and shark points, I scored my own win, sporting style in the shallows of my personal ocean. Paisley print push up bikini, with removable pearl brooch ~ Anabel Arto Swimwear , $52 – Shop here. 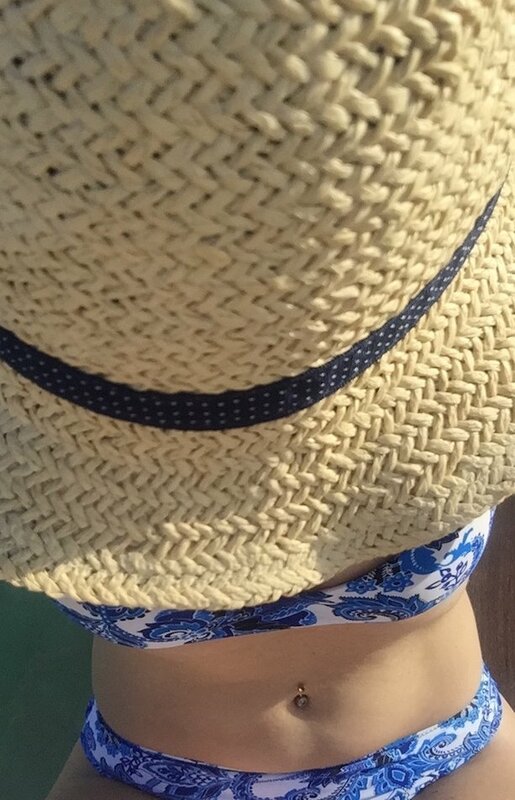 I love your bikini! You definitely scored your own win with this look/vacation. I private pool would be awesome right now! First, off YOU LOOK AMAZING!!! You have no reason in the world to have ANYTHING but confidence wearing a bikini or anything else. I do like that bathing suit too. It’s my favorite color blue and white combination.